Why was Hazrat Fātimah Zahra (a.s) called Zahra? 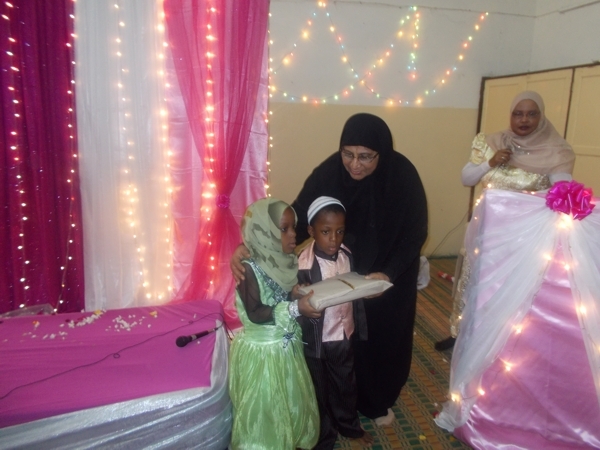 A special function to commemorate the Wiladat of Sayyidah Fatimatuz Zahra (a.s) and Sayyidah Zaynab (a.s) was held on Saturday, 4th May 2013 at the Bilal Hall, Mombasa. A large number of women and children attended this program. 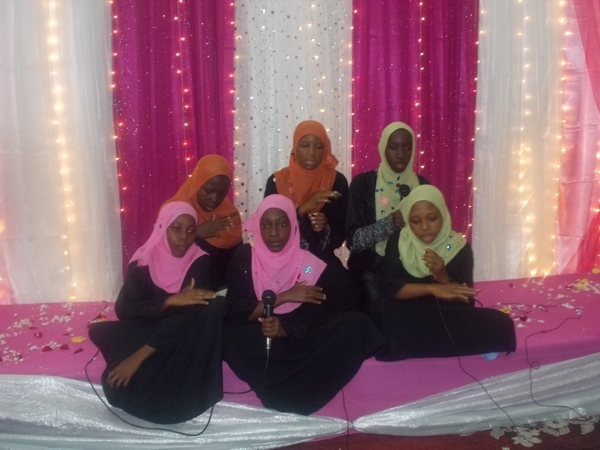 verse from the Holy Quran with translation in Kiswahili by Sis Zahra Salim and Sis Zahra Allidina. Sis Ummukulthum from BMMK welcomed the ladies. Students from Madrasa Jafferiya, Mackinon Road, Madrasatul Hujjat, Chengoni and Madrasa Mahdy, Samburu centres presented Qasidas on Sayyidah Zaynab (as) and Sayyidah Fatma (as). An educative and informative Quiz programme was organized. 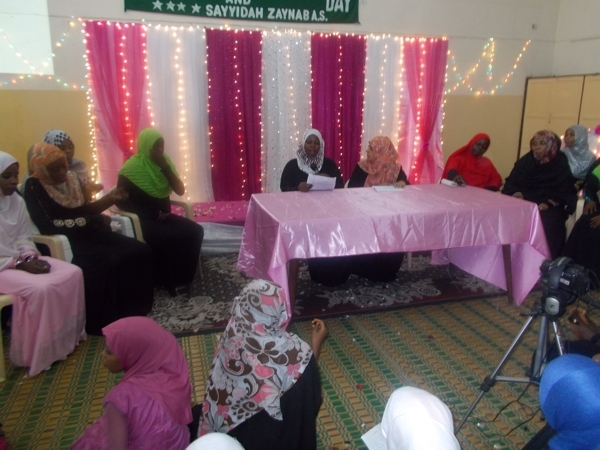 The questions were based on ‘Fiqh Masails, Quran Tafseer’ and ‘Khutba of Bibi Fatima (as)’ which was facilitated by Ruiya Salim and Zahra Habib. The students from Zahra Madrasah, Madrasa Jafferiya, Madrasatul Hujjat and Madrasa Mahdy participated in this program. Sis Fatema bai Haji, Chairlady of Zainabiya Society made a closing speech praising the good work undertaken by Mrs Sakinabai Dhalla and her group. She also thanked the mission for organizing the function. Vote of thanks was presented by Sis Hasina on behalf of the Mission. Gifts were awarded to all participants. 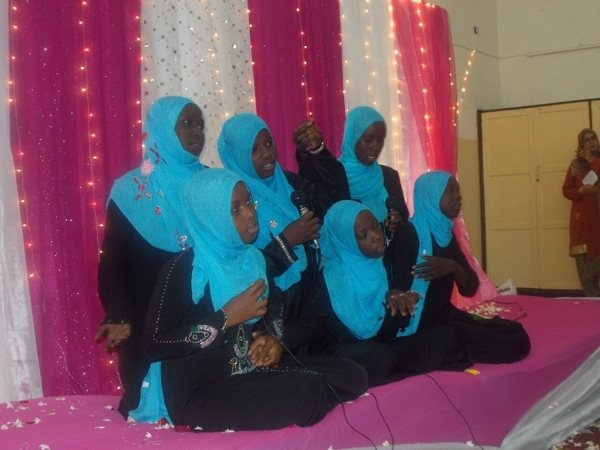 The programme concluded with recitation of Dua and Ziarat by Zahra Madrasah students. Bilal Muslim Mission of Kenya would like to thank all the Participants and all those who attended the Programme. Special thanks go to the Convener, Mrs Sakinabai Dhala and her team who wholeheartedly worked hard to make this programme a success.